Design Thinking is a human-centered approach to innovative problem solving that integrates the needs of people and the possibilities of technology. It can help change your perception within your organization on how you address problems while working in a deep anthropologic state with your customers. Design Thinking can move you away from checklist and analytical styles of thinking and immerse and engage with your customers to gain a deep understanding of their needs. In this presentation, Tim will give a real-world example of how changing your perception can truly change the world. By looking at low cost options for long term solutions, Design Thinking unleashes the creative mindset to converge on the right solution. I go over the tenets of Design Thinking, the "By Design" program at TE, and some lessons learned in order for the audience to take away for their own organizations. The goal is to provide an overview of Design Thinking and to demonstrate that it's really about good business analysis skills. 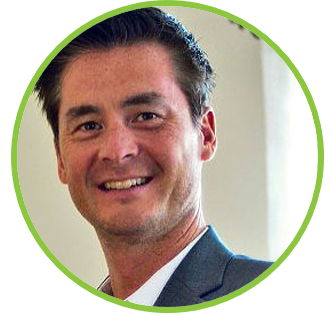 Tim Kramer is a goal-focused problem solver with business analysis and project management expertise with a strong background in implementing enhanced process improvement projects and providing technology solutions in large and small organizations. His focus is on understanding business strategy and aligning the tactical and operational levels for trace-ability. A customer-centric mindset helps me focus on the benefits provided opposed to linear schedules. Tim is experienced in a diverse background in business and technology including Manufacturing Business Systems, Distribution and Inventory Management, Health Care Consulting, Business Process Improvement, and Business Modeling techniques. Tim is passionate about the discipline of business analysis and using Lean tools and Design Thinking to provide value to the organization. He is experienced in Requirements Gathering and Documentation, Requirements Management, Requirements Trace-ability, Test Strategies, Test Plan Creation and Execution, and using various methods in achieving all of the mentioned skills.